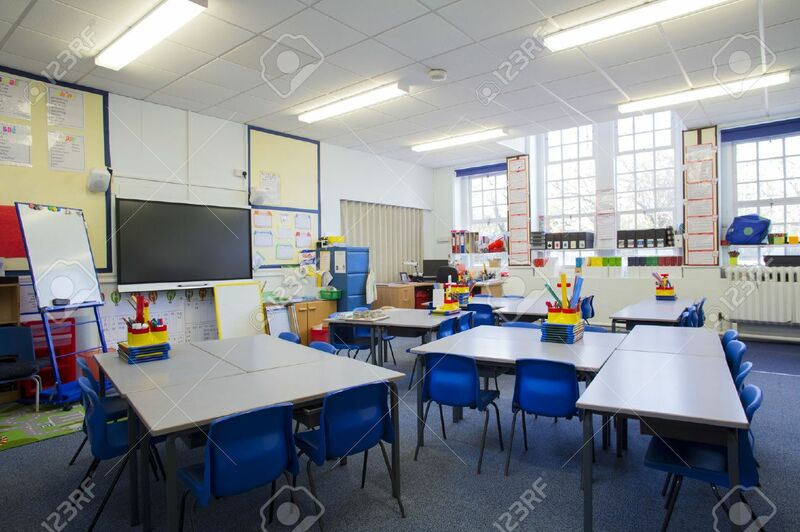 A Horizontal Image Of An Empty Primary School Classroom. The Setting Is Typically British. Фотография, картинки, изображения и сток-фотография без роялти. Image 43374622. Фото со стока - A horizontal image of an empty primary school classroom. The setting is typically British. A horizontal image of an empty primary school classroom. The setting is typically British.